These presentation slides 41624 are complete compatible with Google Slides. Simple download PPTX and open the template in Google Slides. 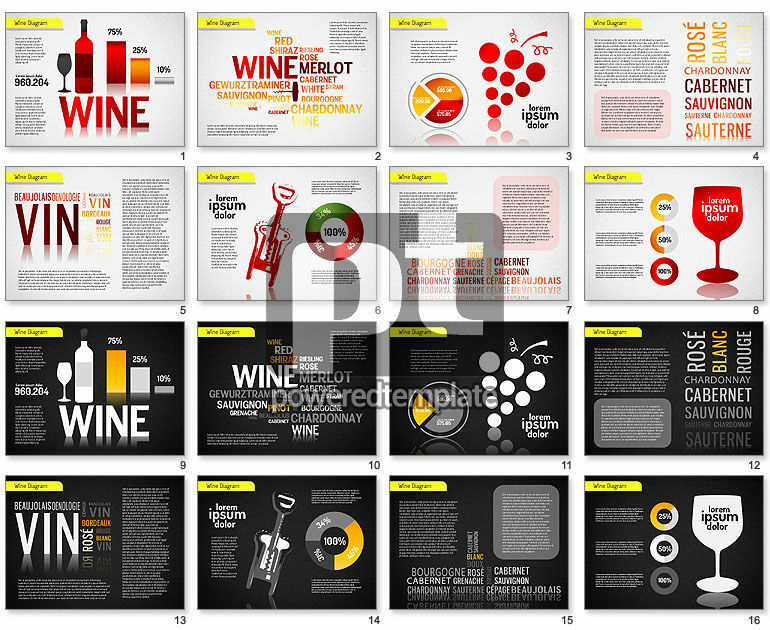 Enjoy this terrific infographic template related to wine. There are many colorful items to show your unique information on wine making, consumption and so on. You can use this convincing sample for your presentations dedicated to any spheres connected with winery: making, sale, tasting, distribution and so forth. This great set has two variants of color palettes and backgrounds to meet your needs.